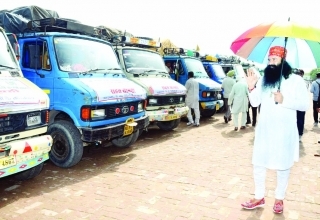 The awe inspiring presence of Saint Dr Gurmeet Ram Rahim Singh Ji Insan has been the hallmark of the MSG films. 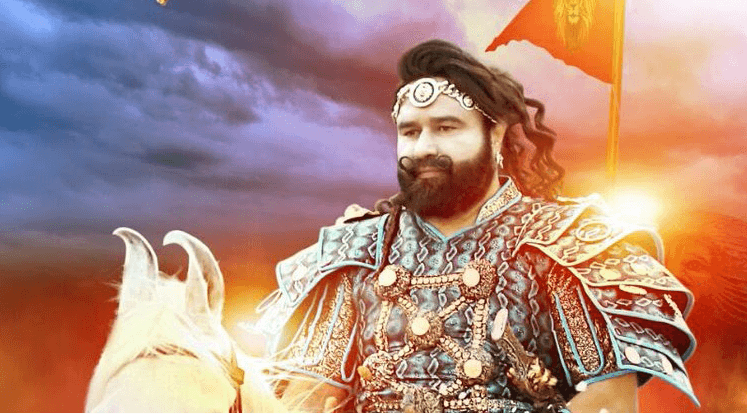 The second movie in the series, MSG The Warrior Lion Heart has taken box office by storm as it has been widely applauded worldwide for its heavy dose of entertainment. After collecting 57.30 crores in just 3 days, the movie has reached a whopping collection of 150 crore in just 10 days. Other movies which were released in competition to MSG The Warrior Lion Heart are finding it hard to garner any attention from the audience. 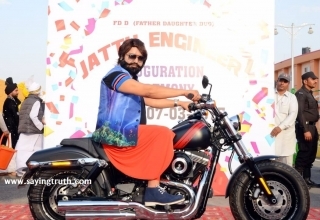 The charm of the movie is not restricted to just collections as MSG fans have created a poster of size 1,62,788 sq. ft. in just 19 hours 50 minutes, unsurprisingly this is a world record. Our beloved Guruji can been seen in Sherdil Avatar as he stands on a huge mountain looking down at his massive army of soldiers. The fans have expressed their tremendous excitement for the movie through this poster. On 23rd September, another world record was scripted by the fans as they lit 1,50,009 oil lamps. Till date, both the movies in the MSG series have scripted 18 records together. 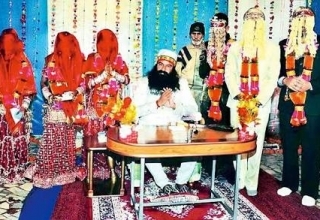 MSG The Messenger has already created 3 Guinness world records and 3 India Book of Records. Now MSG The Warrior Lion Heart Has also created 2 Guinness world records, 5 Limca Book of records and 3 India Book of World Records.Saint Dr Gurmeet Ram Rahim Singh Ji Insan has already received the honour of 3 Dadasaheb Phalke Film Foundation awards for MSG-2. On 17th October 2016, Saint Dr Gurmeet Ram Rahim Singh Ji Insan visited Dharamsala, Himachal Pradesh were he attended a press event. Addressing press persons he said that his main motive was to make people aware of the inspiring message of women empowerment and a better future for the world.